DeAnna L'am wrote a fabulous blog post about the Newsweek article on menstruation. Fondly known as ‘Womb Visionary’, DeAnna's work has been transforming women's lives around the world for over 25 years. She holds Initiation ceremonies for women and girls, reveals the spiritual forces hidden in Menstruation and Menopause, and teaches women how to hold Red Tents in their communities. Transforming the "Curse" to Menstrual Magic! PS This is a pre-script, not post script! For all women who have finished the Moon Cycle part of your life and moved into the Wise Woman phase of your being... read on anyhow, please do not dismiss because you no longer bleed. Your body still follows the monthly rhythm of the moon and your hormonal cycle. The whole process is now gentler and not so obvious to follow. We, all women, can benefit from embracing our feminine being as a positive, natural experience. I have always found the words, energy, and attitude* most often used around menstruation to be confusing and frustrating. When I was younger, I could not put a finger on it; my feelings that this negativity was just wrong. I found it very disconcerting that women held such negative attitudes around a process that seemed a natural part of who we are as women. Menstruation, to me, was something that happened every month, why not embrace it? *The Curse, on the Rag, it is that time of the month (eyes rolling), women's troubles, Sally (this term means weakling), wounded clam, ragtime, Dracula’s tea bag, big red, bleedies, blobbing... the list of mostly derogatory terms literally goes on and on. My favorite has always been "Moon Time" as used by the Native Americans. I used to wonder, as a teen, why all women did not embrace this phrase. I still am taken aback, gently but aback none the less, when I hear women speak of menstruation (and, really, all feminine processes: pregnancy, birthing, breastfeeding, menopause) in negative terms. These natural processes are dreaded, and almost despised in some cases, when to me it seems that they should be embraced and valued. As a woman, I urge you to embrace the beauty of your feminine cycle. As an RN, with years of Maternity and OB/GYN nursing experience, I urge you to embrace your cycle from a holistic perspective. Why? Because when you do create a positive attitude and energy around the beauty of your ability to create (you can chose to create or not), your experience of the process(es) shifts to a much healthier and happier space. You will also take on responsibility for your experience and how you co-exist with your feminine cycle. Hysterectomy, done at the drop of a hat, instead of keeping a women's reproductive tract intact. When we invoke self-responsibility around our daily health, in all aspects of our life and our menstrual well-being, we invite powerful life balancing and healing energy into our being. 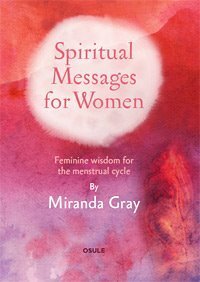 The below books are amazing guides to support you along your path of finding Menstrual Magic, Period Power, in your life. I urge you to read one, read them all, and learn about the natural cycle of energy, (the seasons of your cycle), that is/are an intricate part of your monthly, moon cycle and feminine being. Click on each book to purchase from the author. 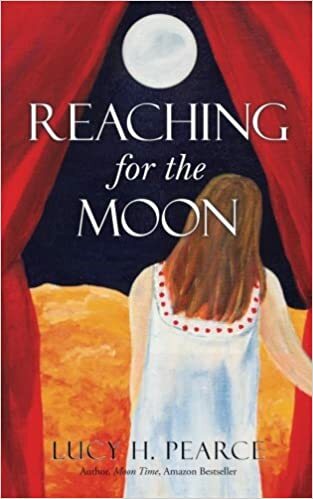 Thirteen Moons is only available in the USA through Amazon. Thirteen Moons is a ‘not for profit publication’- any profits made go to insuring free books/ pad samples and information go out to schools, girls, and women’s groups. I just ordered this book. Check out the many books by Miranda Gray. Available on Amazon, to avoid the higher shipping from Europe.